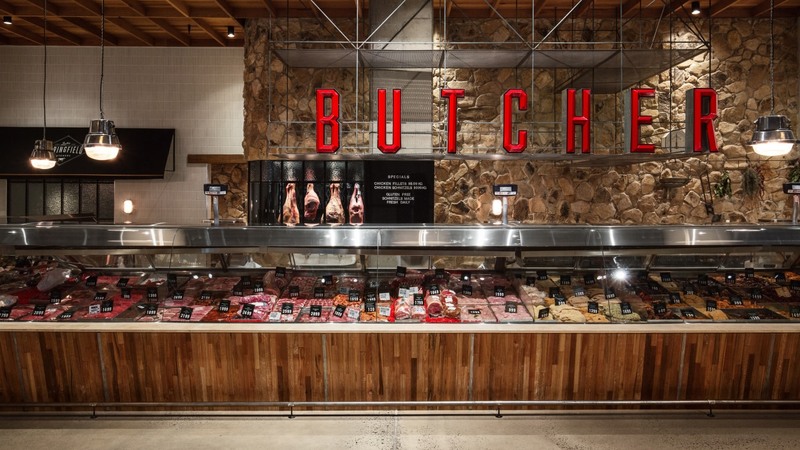 Undertaking a complete redesign of the long-established Springfield butcher's store, Xtra Shiny have created something quite different to the usual clinical white and stainless steel interior that we're so used to seeing. They have incorporated an interesting mix of natural materials, with reclaimed Australian hardwood counters, above which 1950s vintage Polish street lights hang. Aluminum Russian bulkhead lights, once installed on cargo ships, light the rear wall and provide an nice contrast with the quarry face sandstone.